1. Pre-heat oven to 425-degrees. 2. 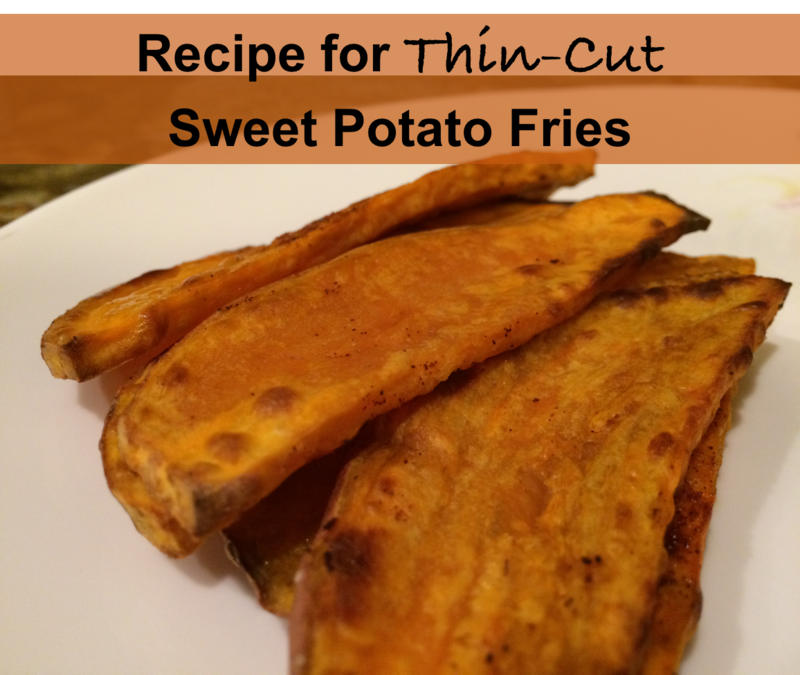 Slices the sweet potatoes into thinly sliced fries that are approximately 1/8" thick. 3. Toss or brush the sweet potato fries in olive oil. 5. Optional: Sprinkle with paprika. 6. Bake single layers on cookie sheets for 25 minutes or until desired.